There comes a time in everyone’s career when changing jobs is the natural next step. Perhaps you’re looking for a new challenge, or you feel as if you’ve hit a wall in your current company. Either way, you’re standing at a crossroads, with an overwhelming amount of possibilities in front of you. But how can you make the most of this situation? How can you find a job you will truly love? There is, of course, no secret recipe for success. However, the tips and best practices in this eBook are an invaluable source to make searching for a job a less daunting and much more fruitful undertaking. To support you on this journey, our authors provide practical advice to guide you through the different stages of your job hunting process—from assessing whether a position might be a good fit for you to landing and preparing a job interview and, finally, growing into your new role in a new company. 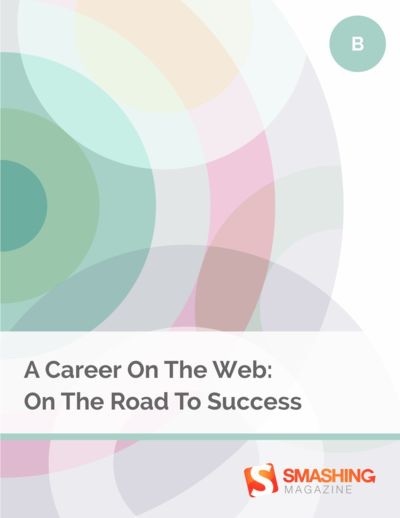 No matter if you’re a seasoned web professional or just about to gain a foothold in the industry, this eBook will bring you a step closer to a job that will make you thrive and, in the end, towards the career that you envision for yourself.